Description Addition of the side rails and a version allowing for use of a grip on the 'solid stock' 249. Is there any consideration for this, RHS devs? I was considering making a similar ticket to allow the PIP version to all allow foregrips, or at least allow the VFG version to keep the steel bipod. 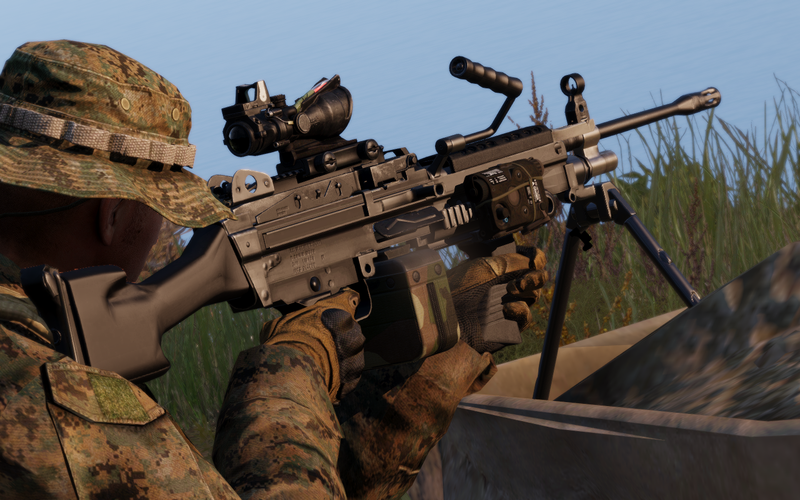 When a weapon has both an integrated bipod and an attachment bipod, the animation for the integrated bipod no longer works. Thanks for adding this! Your incredible work is appreciated!